Consumers were once just pawns in the game of marketing, interacting with businesses where the business dictated. Nowadays, the power paradigm has shifted. It is the customer who holds sway over the who, how and what they interact with. Virally shared content on social media and peer-to-peer customer feedback has become the standard for how customers purchase from and engage with businesses. In fact, 90% of consumers read peer online reviews before visiting a business and 84% of those people trust online/social reviews as much as personal recommendations (Forbes). Online review platforms such as Glassdoor and Google Reviews have given transparency to each and every business – whether wanted or not. This technology has allowed for open customer feedback to flow freely from all 3.2 billion internet users. Your company, its products and its mission are constantly on full display. This doesn’t spell disaster for companies by any means, in fact, customer/client reviews can be a powerful tool when used effectively. It is market research into the internal and external aspects of your business and can be used to gauge essential product information. It is the way you respond after reviews/feedback has been received that can mean the difference between truly engaging with your customer and presenting a negative image to the masses online. Know when to respond and when to walk away. When looking at a negative comment or posting online, try thinking about the motive. Is this person simply trolling the company, or did they have a negative experience? If it is the latter, move forward much like you would if a client expressed concerns in person. Treat the customer’s feedback with respect and empathy (Inc). Volt bank limited was recently granted the first restricted authorised deposit-taking institution licence by APRA (Australian Prudential Regulation Authority). When viewing Volt Bank’s website, visitors are asked a very simple question, “What are the big four banks currently doing that you want changed?”. Volt Bank took advantage of customer feedback to create a product that directly addresses consumer pain points and emerging customer needs. Straight from the horse’s mouth and into the product development room. You should actively seek out your customers and give them an easy platform to message you directly. People want to be heard, and in most cases by the people that have either negatively impacted them or given them a positive experience. Provide them the avenues to contact you directly. Find where they are and where they like to connect and be present in that space. Whether that is direct messages on Twitter, Facebook chat bots, or customer enquiry forms direct on your website. This in contrast to the customer posting directly on Google Reviews, where literally half the planet can see it. Encourage open feedback and respond appropriately. Identifying issues with the product/service. It is not your product manager or CEO who uses your product or service for its intended purpose on a daily basis. It is the customer. They are the ones who can identify issues, or spot improvements that can be made that may otherwise have gone unnoticed. It is only the customer who truly knows what the customer needs, everything else is speculation. Attracting new business through SEO. Popular review sites are one of the sources that Google pulls local business information from. The number of reviews your business has along with the average rating determines your search engine ranking (SEO). Accumulating a large number of positive reviews, combined with other on and off-page SEO, will help push your business higher up in the organic search results (Forbes). Resulting in attracting new business in your targeted field. 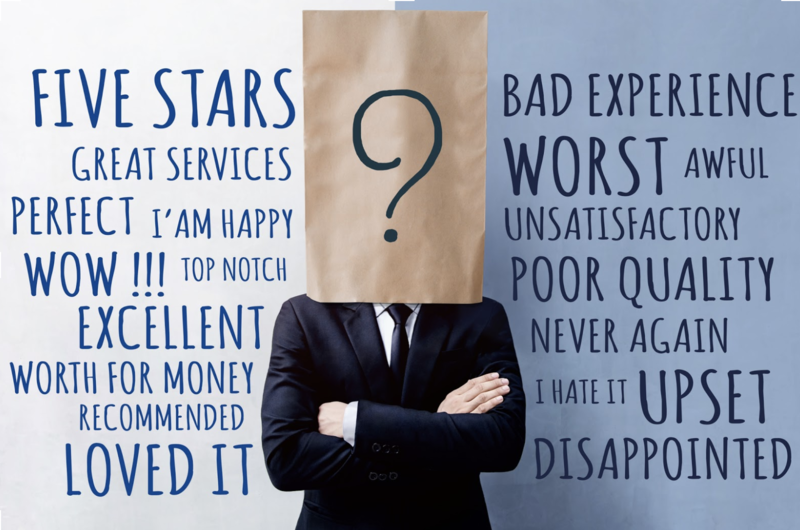 Only 1 out of 26 unhappy customers complain, the rest churn (Huffington Post). By providing an easy avenue for customers to give feedback and responding to that feedback emphatically, you place yourself in a better position with your customers. To ignore feedback is to ignore your customers and be left behind in the ever changing consumer market where they hold the power.